We cover the entire length of the Pembrokeshire Coast Path in Wales from the start at St Dogmaels, near Cardigan, to the end at Amroth, near Tenby. 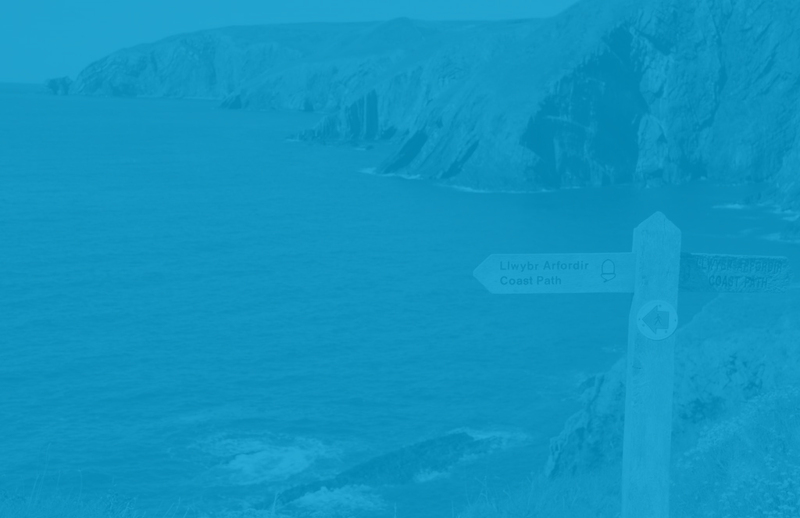 Whether you are a rambler, a cyclist or an activity holiday enthusiast, we can provide our baggage transfer service far cheaper than anyone else, and across the whole Pembrokeshire Coastal Path too! To obtain a quote for all or part of your baggage transfer needs, just complete the baggage transfers enquiry form, once you have booked your accommodation (you can find short break friendly accommodation easily by using our short break accommodation web pages). If you are still in the planning stage and trying to ascertain the cost of your holiday, you can still complete the booking enquiry form but just with the town/village names completed and we will be able to give you a rough quotation for your baggage transfer costs until the final itinerary comes through. Alternatively, if you would like to discuss your requirements why not call us on 01326 567247. If no one is available to take your call please leave a message with contact details and we will call you back. We take next day bookings, but please ensure we have them by 6.30pm the evening before to ensure we can allocate your transfer to a driver. Luggage Transfers Ltd have gained a vast amount of experience in delivering walkers bags and cyclists panniers as we have covered the South West Coast path for the last 6 years.... In a typical month we deliver up to 10,000 bags, making us the number one luggage transfer specialist in the UK, and the only one that delivers across the long distance walking paths of the Pembrokeshire Coastal Path, and The South West Coast Path in England. You can rely on us to deliver every time, in the knowledge your bags will be insured and that they will be handled carefully and with respect by our drivers. We are the cheapest luggage transfer company on the market and we will beat or price match any written quotation from any other luggage transfer specialist. All our collections will be after 9.15am, giving you time to dress and take breakfast at your leisure, and they will be delivered to your destination before 3.30pm, well before your own arrival. We will happily collect from Hotels, Guest Houses, Campsites and Youth Hostels and even private addresses along the entire Pembrokeshire Coast Path and everywhere in between! Please note: that if you are staying on a campsite, it is important that a booking is already in place there for you, otherwise the campsite operators may refuse to allow us to leave your bags. Some consider bags without owners a security risk! Please double check! Get a quote using the Baggage Transfers Enquiry form or send us any query or question using the 'contact us' form and leave the rest to us!